Board the Deccan Odyssey and explore some of the most awe-inspiring tourist destinations across India. 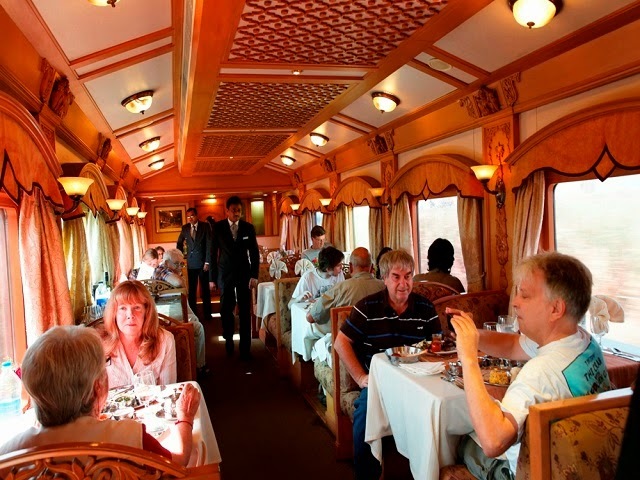 This Indian luxury train has 21 coaches, all of which are designed to match the regal erstwhile kingdoms of Maharashtra and other parts of India. The thematic coaches of the train go hand in hand with peerless facilities and gracious services aboard. 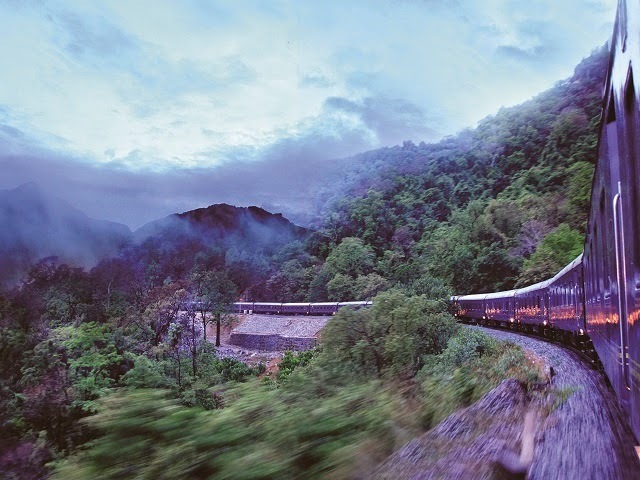 On board the train, you will cover miles without even realizing you are far away from home. Your vacation needs to be free from unnecessary bugs and to ensure this, hostesses and stewards of Deccan Odyssey are always available with their courteous services. Deccan Odyssey covers ten different journeys, planned keeping in view different interests of the vacationers. After the grand success of Palace on Wheels (Luxury train), love for luxury trains emerged in India. This made Maharashtra tourism Development Corporation (MTDC) initiate a grand step in introducing a legendary train for Maharashtra as well. In 2001, MTDC and Indian Railway Ministry signed an MOU and this turned the idea into innovation. After rejecting thousands of layouts in a span of five months, they finalized the one which couldn’t get even better. Hence in 2002, the main construction work of the train started. Finally by 2003, the train was all set and ready. Taj Group of Hotels was very impressed with the décor and layout of the train. They joined hands with the authorities of Deccan Odyssey, in order to provide five-star hospitality. Deccan Odyssey got inaugurated in 16th January 2004 in Chhatrapati Shivaji Terminus. There were intense hardships that all the engineers, craftsmen and managers went through during all this time; but it was all worth it at the end. Deccan Odyssey train has 21 coaches; all of them are air-conditioned. They are designed with dedication and prioritizing comfort. Each coach is inspired by the grandeur of different dynasties of Maharashtra. Out of 21 coaches 11 are for accommodation of guests and the rest are reserved for lounge, dining, spa and conference. Deccan Odyssey has 11 coaches especially for the accommodation of the guests. All the cabins are spacious with state-of-art amenities and round the clock services. The décor is enchanting and soothing, making the guest feel calm and relaxed. The cabins have attached spacious bathrooms, personal safe, telephone, CD/DVD player, Tv and everything else that you might need for a comfortable and cherishing journey. You can also opt for twin bed or cabin for differently-abled people. Deccan Odyssey has a cart dedicated to those who love to treat their taste buds with tempting dishes and drinks. 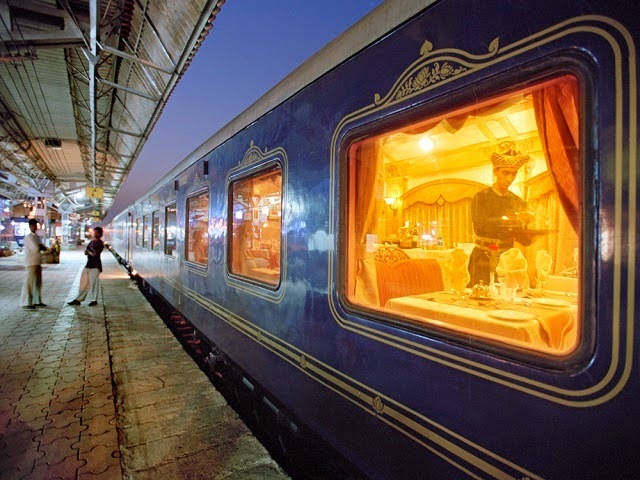 There are two multi-cuisine restaurants in the train- Peshwa I and Peshwa II. The dishes and décor of these restaurants are incomparable. Gracious stewards wear traditional Maharashtrian attires, which complements the theme and makes you feel like a Maharaja. There is a bar in the train called Mumbai Hi, serving exotic drinks from around the world. There are well stacked drinks which are both alcoholic and non-alcoholic. The bar will lift your spirit high, and then nothing in the world can then make you feel exhausted. Rejuvenate yourself while you are aboard Deccan Odyssey, in its spa cabin. These massages and body therapies are performed by skilled and knowledgeable staff. The techniques and tonics of Ayurveda will make your labyrinthine nerves get a peaceful sensation. We understand that not all voyagers can move forth with only leisure. Hence, we have a conference car for those who want to update and get updated about their corporate business. The conference car has comfortable seating with error free and high speed Wi-Fi connectivity. The car has updated equipments that are required for an efficient conference. Deccan Odyssey is very spacious. But if you still need a corner of your own to read, deep-think or perhaps chat with your best friend on board, you can enjoy in the sitting and lounge area of the train. There are plenty of books here. The library is indeed a treasure for bibliophiles. Indoor games: Cardboard and puzzle games are available on board. Assistance for differently-abled people: special assistance for differently-abled guests like wheelchair, crèches, attendants, special dietary requirements are given. It is advised to inform the authorities about your requirements at the time of booking. Attendant or Khidmatgar: an attendant will be always available to cater the guests on board. Internet: There is availability of laptops with high speed internet connectivity during your journey. Events: Deccan odyssey can arrange royal weddings, business conferences and meeting on board on request. New paper/magazines: You will be given newspapers/magazine every morning with your morning tea. Arrival kit: Guests will be welcomed with a glass of wine and an arrival kit. Medical assistance: Medical assistance will be available during the journey. Also, doctors can be arranged, if required. Souvenir: There is a souvenir shop in the train with dresses, handicrafts and other artifacts. All the journeys start from either New Delhi or Mumbai; both of which are metropolitan cities with great connectivity with domestic and international cities. Besides connectivity, there are numerous accommodation and transportation options available in these cities. So when you will reach Mumbai or New Delhi and wait for the journey to start, there will not be any inconvenience. Buildings and forts built from red sandstone, made this city to be referred as “The Pink City”. It has now become a legal norm to have a shade of red/pink in the walls of residential houses as well. 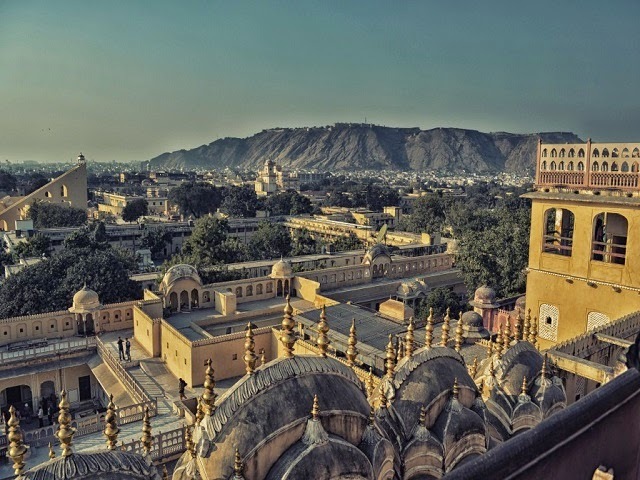 Jaipur is one of the major cities lying in the famous golden triangle circuit which is recommended and aspired by foreign tourists when they visit India. Jaipur is house to Rajput architecture and charm.Some of the most loved sites of Jaipur are City Palace, Amber Fort, Jaigarh Fort, Jantar Mantar, Nahagarh Fort, Lakhsmi Narayan Temple and Hawamahal. Another major part of the Golden Triangle Tour, Udaipur is also known as ‘City Of Lakes’. The city has four clean and extensive lakes with sprawling wildlife, abundant greenery and numerous species of fishes. There are islands on the lakes which are adorned with forts, palaces, temples, gardens and everything else that makes it look like a fantasy. Lake Pichola, Jah Mandir, City Palace and Fateh Sagar lakes are some spots of tourists’ attraction which must be explored. Jaisalmer is surrounded by rugged hillocks and is called “The Golden City of India”. Houses and ruins in Jaisalmer are either made of yellow sandstone or are painted mustard; all this amid immense Thar Desert gives a yellow tinge to the panorama of the city. Jaisalmer fort in Jaisalmer tops the list of tourists’ attractions and stands on a ridge above the rest of the city. One can visit Sam Sand dunes for camel safari and other unbeatable entertainment options. If not that, this deserted city also have lakes, so hop in a house boat and soak yourself into the calmness around it. The capital of India, Delhi, is unstoppable and heading towards newer heights of development and technology. If you are looking for shopping with wide range of options in budget and everything then Delhi is a blessing for you. As the city has been under the rule of Mughals, Khilji, Chauhans and other prominent rulers; it has some beautiful heritage sites. All the remnants of its erstwhile rulers, merging with the modern infrastructure, form a brilliant cityscape. Delhi became the capital of the country in 1911, and was further planned by the British Rulers. The peerless perfection of British Architecture can be seen in central Delhi. According to UNESCO, Red Fort (Laal Quila), Humayun’s Tomb and Qutb Minar Complex are World Heritage Sites and are worth a visit. Apart from these, there are other popular sites too that you can explore until forever. Mumbai is the largest city of India in population. Every day there are thousands of immigrants shifting to this city of dreams. Their dreams are made up of bollywood, IT, corporate businesses, sales and what not. Mumbai has beautiful beaches, bustling shopping complexes, and amazing restaurants; in short if you live like a king or choose to save your money, you will get the best of what you want. Marine drive, Band stand, Gateway of India, Churchgate area, Worli are amongst the top tourist destinations of Mumbai; they make the city even more lovable. Goa has two faces: vigorous and tranquil. Hop into Baga beach if you want to dance the night away and surround yourself with sheer spark of youth and life. Or visit Candolim Beach for some peace. Goa has everything that a die-hard shopper would wish for. There are tempting sea-foods for which Goa is famous. Let alone night clubs, shops and restaurants of Goa also are open till late. The state had been under the rule of Portuguese and their remnants today attract large number of tourists. There are casinos on the cruises in South Goa where you can splurge and try your luck. And your trip would be half a waste if you don’t get yourself into amazing water sports in the beaches. Fixed its name in the list of Seven Wonders of the World, Taj Mahal attracts a huge wave of tourists every day. This immense white-marbled palace is a shrine for romantics. The Taj Mahal holds story of true love, of Emperor Shah Jahan and her wife. But, there is more to Agra than just Taj Mahal. Itimad-Ud-Daulah, Agra Red Fort, Mankameshwar Temple, Jams Masjid, Chini ka Rauza, Ram Bagh, Mariam's Tomb, Akbar's Tomb (Sikandra), Mehtab Bagh, Gurudwara Guru ka Taal and Keetham Lake are a few examples of Agra’s pride. Almost all the forts and palaces reflect the entity of Mughals, Rajputs and Persians in its architectural style. Badami has red-stoned and beige ruggedness in the landscape, which is most conspicuous than all its other facets. Badami has indeed gotten its name because of this aspect of this town; Badami literally means the color of badam (almond) and that’s what we see in its panorama. The rock-cut art is just another of its most attractive attributes. Most visited site of Badami is its Four Cave Temple. The caves are ancient and were built by drilling the reddish hillocks. These caves have great reverence by the Hindus and Jainis. Three of the caves are dedicated to Hindu gods, i.e. Shiva, Ganpati, Brahma, Vishnu, Narsimha and others; while the fourth cave has the image of Lord Mahavira. There is Agasthya Lake just beside the caves, adding a little more charm to the landscape. Sixth largest city of India, pride of Gujarat and expanding dramatically since 11th century, Ahmedabad is now an official commercial hub of the Gujarat. This is one of the rarest cities which were not colonized by the British Empire. The city is sparkled during Navratri festivals, when people gather and play dandiya to celebrate those nine days. Gujratis are well known for their hospitality and friendliness. Hence, to restore your faith humanity, Ahmedabad does wonders. Also, its proximity to Sabarmati Ashram, the vicinity is under strong influence of Mahatma Gandhi and his teachings. Nal Sarovar Bird Sanctuary, Hathisingh Jain Temple, Teen Darwaza, Akshardham Temple, Sabarmati Ashram, Shaking Minarets, Sidi Sayed Mosque are some of the most popular destinations in Gujarat from tourism point of view. This largest district of India, Kutch is a very famous part of Gujarat. Kutch is mostly famous for its Rann of Kutch, lying in the Thar Desert and reputed to be the largest salt desert in the world. Rann of Kutch is a salt marsh which gets submerged during monsoons and stays dry otherwise. The water leaves a great amount of salt in the desert making a flawlessly white landscape, looking like snow. During the month of December or January, Rann of Kutch receives millions of visitors when the festival Rann Utsav is organized. This festival is full of life and vibrant folk of Gujarat. This deserted area is also rich in wildlife, giving a wider canvas for the travelers. Some of the most popular sanctuaries of the area are, Narayan Sarovar Sanctuary, Banni Grasslands Reserve, Kutch Bustard Sanctuary, and Chari Chandi Wetland Conservation. Sindhudurg is a former part of erstwhile Ratnagiri district and had been captivating its visitors ever since 1664. Sindhudurg Fort which was built by Shivaji is the most-talked-about spot of the region. Sidhudurg means a fort in the sea. And the fort of Sindhudurg lying on the sea has made the district get this name. Also this is the only fort with a temple dedicated to King Shivaji and was built to protect its inhabitants from the enemies. The tidal waves of Arabian Sea had been a strong guard against the enemies. Besides its architectural marvel, Sindhudurg offers tempting sea foods for the foodies. This famous Maharashtrian district is known for its Kolhapuri Chappal (slippers), Mahalaxmi temple and its lakes. It is said that the town got its name from a devil called Kolhasura, who was assassinated by Goddess Mahalaxmi. The Mahalaxmi temple of Kolhapuri has been mentioned in the list of 108 sites of Shakti. The temple is of high importance in Hinduism and it is said that Goddess Mahalaxmi and Lord Vishnu used to stay in its Karveer area. Besides this holy temple you can also get the most out of Kolhapur through its Rankala Lake and New Palace. Famous for an eminent saint Sai Baba, Shirdi is where Baba took Samadhi (highest point of meditation). And the very spot where Sai Baba took Samadhi now has a huge temple which is famous all over the world. Baba spent a good amount of time in Shirdi teaching lessons which awoken many souls. He is known for numerous miracles that he performed during his life span and people believe that he does it even today. The faith of people, irrespective of their religion in Sai Baba is adamant; this makes million worshippers visit Shirdi Temple. Because of the endless queue for the darshan, many people (rich or poor) sleep in the pavements for the magnificent early morning arti. Daulatbad is formerly known as Deogiri and had been a capital during the rule of Muhammad Bin Tughluq. The whole panorama of the city is enchanting with rocks and brown hills with green tinge. What Daulatbad is largely known for, is its hill fort which is perched at the top of a conical hill. The fort was constructed under Raja Bhillamraj of the Yadav Dynastry. Some of the notable areas of the forts are scarp, sub-terranean passage and the moat. The fort houses many palaces too, some of which are Chini Mahal, Chand Minar and Baradari. This world famous monument dates back to the first century BC with additions in the third and fourth century during the Gupta period. Ajanta caves comprises of 29 rock cut caves inscribed with sculptures, paintings and texts. Ajanta Caves has great reverence in Budhhism. These caves have images and sculptures of Lord Budhha. Out of the 29 caves, five of them served as temples and the others served as monasteries accommodating about 200 artisans and monks. The area was covered with thick forest, until it was accidentally discovered by a British officer in 1819. The Ajanta Caves are listed as UNESCO World Heritage Site and hosts hundreds of admirers every day. Through the ages, Nasik never failed to inscribe its name amongst the famous spots of Maharashtra. The city is one of the holiest cities of India. It is believed that Shri Ram along with his wife and brother spent the time of his exile in a Tapovan near Nasik. And this is one of the four cities which host Kumbh Ka Mela. The festival takes place once in every twelve year. Nasik had been under rule of Mughals, Maratha Empire and British and during the British time too it became popular because of famous freedom fights it faced. Vadodra was known as Baroda. It had been recognized as a princely state during the time of British Rule in India. The city is the cultural capital of Gujarat and has brilliant ancient monuments rubbing its shoulder with the hi-tech infrastructure of this ever growing era. Some of the well known palaces of Vadodra are Pratap Vilas Palace, Makarpura Palace, Nazarbaug Palace and Laxmi Vilas Palace. Apart from the palaces, other highlights of Vadodra are Aurobindo Ashram, Hazira Maqbara, Nyay Mandir, kala Goda, Sardar Bag, Baroda museum and Lal Bag. The city has a lot many amazing spots which a traveler look out for, in search of sheer rejuvenation. Get set for an extraordinary experience of wildlife safari. Todaba National Park is listed as the India’s Tiger Reserve which serves this ferocious yet fragile specie with intensive care. The National Park is stretched over an area of 625.40 sq and is a part of Chandipur district of Maharashtra. Besides beholding tigers in their natural environs, you may also spot Indian Mouse deer, Spotted deer, Sambar, Wild Boar, Rusty spotted cat, Leopard, Gaur, Wild dog, Flying squirrel and many others. Needless to say that Tadoba Natural Park is a paradise for wildlife enthusiasts, nature lovers and bird-watchers. Sawai Madhopur is mainly famous for Ranthambore National Park. This National Park is enriched with greenery and a large number of wildlife species. Ranthambore National Park was earlier a Tiger Reserve and later got declared as a national park in 1980. The fort in the national park, called Ranthambore fort is amongst its several highlights. You can spot Sloth, Hyena Chital, Wild Boar, Tiger, Leopard, Jungle Cat, Chinkara, Jackal, Blue Bull and many others. You can explore it all riding on a jeep or even an elephant. Sawai Madhopur is a town well planned by Raja Sawai Madho Singh I. There are many temples in the area which are the power of faith for the pilgrims. The city already receives good amount of visitors. During the festivals like Ganesh Chaturthi and Dussera, the city breaks a new record of visitors. Aihole has a magnificent panorama; the Chalukyan architecture being the most salient feature of the village. The Chalukyans dedicated great time and efforts to create the 125 stone temples in the 5th century. These temples stand with their charm unstirred even today. Having this said, it becomes pretty obvious how important Aihole is for the pilgrims of India. There are temple of Durga, Ramlingeswara, Budhha, Gauri and many others. These temples have fine rock-cut shrines and sculptures. Aihole is a must visit, not just for the pilgrims but also for the heritage lovers because of its awesome cragginess scattered unevenly but with grace. Bijapur is often referred as ‘Agra of South India’; and this speaks enough about the heritage architecture of the city. Rulers like Adil Shahi, Chalukyas, Yadavas, Khilji, Bahamani and others enlivened Bijapur with enchanting forts, palaces, temples and gardens. The most iconic structure of Bijapur is Gol Gumbaz. The tomb was built by Adil Shah and is the largest tomb in India. Talking about its architectural brilliance, there is a beautiful dichotomy exhibited here. One is the centre of the tomb, where a sound echoes for about seven times. And the other is Whispering gallery, which is sensitive to the minutest decibel. So, in Whispering Gallery even murmurs are easily audible. Other than the Gol Gumbaz, Ibrahim Rauza, the Archeological Museum, Malik-e-Maidan, Upli Buruj, Asar Mahal, Chand Biwdi, Seat Kabar; there are many tourist spots here to keep you entertained and amazed. Pattadakal houses beautiful monuments built during the Chalukyan rule. This village is located in Karnataka, with Aihole and Badami in its proximity. UNESCO honored Pattadakal by listing its monuments as World Heritage site(s) as ‘Pattadakal Group of Monuments’. There are four temples styled with Nagara architecture, four by Dravidian architecture and the rest two are fancied with a dexterous mash-up of both the styles. Pattakal is the land of enchanting ruins, mesmerizing the onlookers since its creation. Nagzira got its name derived from two words; Nag meaning cobra and zira means a source of water. Nagzira National Wildlife sanctuary is referred as ‘Green Oasis’ in most of the parts of Maharashtra and holds great significance because of its biodiversity. The sanctuary is spread across an area of 116.54 sq km and is home to vast variety of flora and fauna species, and sprawling wildlife. There are approximately 166 species of birds, 34 species of mammals and 4 species of amphibians in the sanctuary. Here, you can spot tigers, panthers, sambar, bison, chital, wild boar, sloth bear, barking deer, mouse deer, wild dogs and nilgai. Gir National Park is the most popular National park of India and is situated in Gujarat. This is the only place where you can spot pure-bred Asiatic Lions; the fragility and significance of this national park hence become obvious. The tigers were on the verge of extinction, until the Nawab of Junagad thought to preserve the forest. After much ado; he declared the national park as ‘Protected’. Gir National Park is under intensive care and is managed by the Forest Department, NGOs and wildlife activists. Gir National park has an area of 1412 km sq. and was established in 1965. You can spot lions, leopards, chikaras, antelopes, sloth bears, hyenas, jungle cats and many more. There are about 400 species of flora and 2375 species of fauna here. This 500 years old city had been under the rule of Qutb Shahi, Mughals, Asaf Jahi and British. Its rulers embedded the city with marvelous monuments and their age old royalty still glints in every detail of the city. Hyderabad is rightly called the “City of Pearls”, because it is as charming and regal as a pearl. It is India’s fourth most populous city and has all the facilities that a metropolitan city should have. The city has now become an IT and pharmaceutical hub and is growing with a faster pace every day. Possessing some brilliant architectural marvels dating back to different eras, Hyderabad gracefully flaunts the blend of Hi-tech infrastructure and old-world charms. Mecca Masjid, Charminar and Hussain Sagar Lake are the most popular landmarks amongst many other iconic spots of Hyderabad. Bhavnagar is the fifth largest city of Gujarat and is named after its founder Bhavsinhji Gohil. Bhavnagar is mainly admired for the group of 863 Jain temples located in Palitana. The temples are located atop Shatrunjaya hills and are acclaimed by thousands of visitors. Other than this Takhteshwar temple and Aksharwadi temple are preferred by the pilgrims. For the leisure travelers Velavadar National Park proves to be a delight. Velavadar National Park is the only tropical grassland of the country recognized as a national park. The park covers an area of 34 km sq and is home to blackbucks, antelopes, wolves, nilgai, wild boars, jungle cats, hyenas, jackals, and foxes. You can also spot some endangered local and migratory birds in the vicinity. Modhera is known widely for its Sun temple. In Hindus Sun is worshipped and addressed as “Surya Devta”. There are many rituals of worshipping, like pouring water to the lord. Surya Devta is amongst the most powerful gods of Hindus. Though there are many Sun temples in India, but the one in Modhera holds great significance for the pilgrims. The temple is inspired by the Sun Temple of Konark, which is the most famous Sun temple in India. King Bhimdev in 1026 AD commissioned this temple. And with his orders all the corners and pillars were designed with terrific details and dedication. There are three main areas in the temple, namely; Sabha Mandap and Surya Kund. Sabha Madap was used during religious gathering and is surrounded by 54 pillars, denoting 54 weeks of a year. Surya Kund is a large rectangular water tank with strategically placed staircases. Located 46 Km away from Bhopal, Sanchi was the birth place of Great Ashoka’s wife and the venue of their marriage as well. The town is honored for its Sanchi Shanti Stupa, which was commissioned by Ashoka, the great emperor. The aftermath of Kalinga massacre left the emperor remorseful; ocean of blood and loud cries left him stunned. This made him walk in the path of Lord Buddha and he became a staunch follower of Buddhism. Shanti Stupa was the first Buddhist monument of the region and did get a lot of popularity in a short time. Shanti Stupa is listed as UNESCO World Heritage Site. The centre of Stupa is a domed structure, encircled with beautiful rugged walls. The façade has a gate, prettified with impeccably detailed sculptures engraved in the stone. Shanti Stupa is Madhya Pradesh’s most recommended site for travelers and Buddhists. You can find statues of Lord Budhha, model of Shanti Stupa and many more things around Shanti Stupa. The former capital of legendary Vijaynagara dynasty, Hampi houses their remnants with pride. These ruins are revered as a UNESCO World Heritage Site, and are scattered all over the village and beyond. The village has several monuments, reflecting history and sanctity. Matanga Hill is the perfect spot to be in, for a panoramic view of the village, gracefully ripped off by the tremors over the years. This Karnatak glory has magnificent tourist spots like Virupaksha Temple, Yanthrodhara Sri Prana Devaru, sunset Matanga Hill, Hampi Bazaar, Lakshmi Narsimha Temple, Royal Enclosure and many others. Tickets for Deccan Odyssey journey can be booked in www.IndianLuxuryTrains.Com, a venture by Indian Holiday Private Limited. There is easy medical assistance available during the journey. Doctor can also be arranged on call. There are some journeys of Deccan Odyssey with Jungle Safari in its schedule. It is advised that people booking for journeys of this sort pack some earth-toned clothes for the safari. Deccan odyssey gives the best facilities at unbeatable price. There are Facilities like dining, local alcohols, soft drinks, butler, accommodation and many more. The fees of the train also include excursions. When you will leave the train for excursions you will be having guides accompanying you and entrance fees of mentioned destinations, transport, complementary tea, porter charges at the stations, are all included in the cost. Fees for video and professional cameras are not included in the cost that you will pay in Deccan Odyssey. It is advisable to inform the authorities about special dietary requirement or special facilities for differently-abled people, at the time of booking itself. There aren’t specific vaccinations needed to travel in India. But it would be better if you have a Yellow Fever Vaccination certificate confirming this to International Health Regulations. Laundry facilities are available aboard Deccan Odyssey, but only in selected destinations. So it would be better if you pack accordingly. Deccan Odyssey is responsible for the accommodation during the journeys. There are no pre and post tour accommodation. All the journeys start from metropolitan cities, either Mumbai or Delhi. Both the cities have great connectivity with all major national and international cities and easy accommodation options. Deccan Odyssey does not pay for flights. But you can find sufficient information about schedules, fares. You can get assistance for the bookings in the sites mentioned above. It is advised that you get yourself a travel insurance cover form your country; for injury, death, illness, loss of luggage etc. Deccan Odyssey does not allow kids to commence the journey alone. Children under 5 years old will not be charged, subject to sharing a double bed with parents. This is subject to availability of double bed cabins at the time of booking: Single child (5 years to 12 years) will be charged 50 percent less than the adult fee, subject to sharing double bed with parents. This is subject to availability of double bed cabins at the time of booking: two children travelling together with parents can get a separate cabin. The charges will be- 50 percent less than the adult fare and another will be full fare of adult accommodation. In this clause, inter-connected cabins are not available except the Presidential Suite Car. Your visa needs to have a valid Visa with minimum validity of six months to enter Indian Territory. Depending upon the journey you choose, the journey will either terminate in New Delhi or Mumbai (both of which are metropolitan cities with easy accommodation options and connectivity with major national/international cities).